With the great success of the Nokia Lumia 800 device in Europe, it seems that the Finnish mobile phone manufacturer’s decision to adopt the Windows Phone platform has been vindicated – in the short term, at least. However, Microsoft and Nokia have big plans together and more phones are expected to be joining the Lumia 710 and 800 devices in 2012. These handsets are expected to include the missing front-facing camera and offer improved performance with high specs that may even include a dual core CPU. At present, no one knows what these other devices will be called. There is every chance that Nokia will retain the existing numerical names for the Lumia series, or else adopt names for the devices. The Lumia 900, 601 and Ace have all been touted as names by industry insiders, but until 2012 comes around and Nokia lets us in on the secret, all we have is speculation. To get this far, Nokia has all but discarded its Symbian operating system which served it well over the years (eventually failing to meet the needs of modern phone users) in favor of Windows Phone and a controversial partnership with Microsoft (who just happen to be the former employers of Nokia CEO Stephen Elop). This has yielded the Nokia Lumia 701 and 800 devices — slick, stylish looking devices available in a range of colors that have taken Windows Phone by the scruff of the neck and made it cool overnight with a selection of interesting promotion choices that include TV and cinema advertising campaigns. Reaction to the Nokia Lumia 800 in particular has been hugely positive, but the devices themselves – while looking great – don’t have many of the features expected in a modern mobile phone. They don’t even have some of the features expected in a second generation Windows Phone, such as a front-facing camera. As a result, there is plenty to look forward to when Nokia releases more phones. 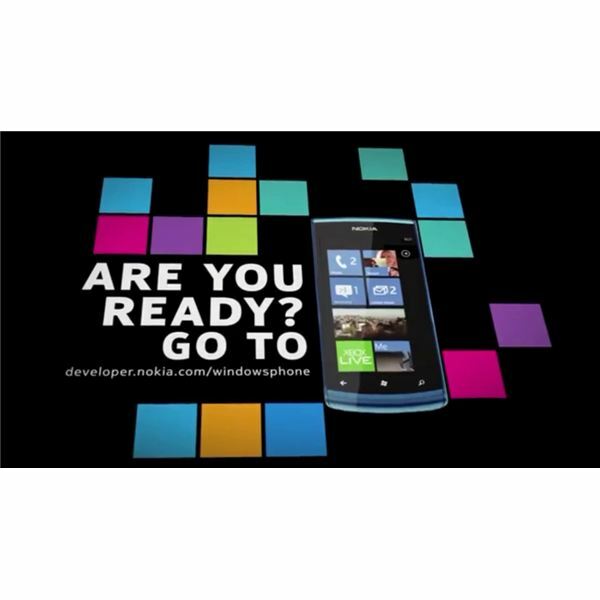 Lumia 900? 601? Ace? Just What Is Nokia Calling Their Next Windows Phone? As many as nine different Windows Phones from Nokia have been rumored to date, with only sneaking glimpses of them made available – or leaked. One such example is the Lumia 900 or Ace, a device expected to be even more impressive than the Lumia 800 (hence the name) that should at least have the missing Mango-supported front-facing camera. Recent images of the 900 that were leaked online were initially welcomed with enthusiasm, but this soon dissipated when it became clear that the phone (leaked in an accidentally-published video on the Nokia website) was in fact a different handset, probably the Lumia 601. This device represents the other side of the Nokia/Microsoft plan of pushing their Windows Phones in new territories. The Lumia 601 is apparently aimed at lower end users; while Microsoft has previously shied away from appealing to low-end devices with Windows Phone (no doubt recalling what happened when Windows Mobile was ported to unsuitable devices) Nokia will have no such qualms. As we don’t even know the names of these new phones yet it’s a bit early to start assigning hardware specs, but it does seem likely that at least one of Nokia’s Windows Phones in 2012 will feature a dual core processor. Apparently Microsoft held off adding support for dual core phones in their Windows Phone 7.5 Mango update in order to give Nokia the opportunity to be the first manufacturer to release a high end mobile processor. To some this might seem like a strange decision, but in truth most users don’t care what’s under the hood of their phone, just as long as it works. Windows Phone has been proven to be an effective, slick operating system that doesn’t require the endless enhancements to its user interface currently enjoyed by Android; as a result, a dual core CPU isn’t really needed. Let’s not forget, though, that keeping up with the industry is key to selling phones; Microsoft know this and Nokia certainly do, and this arrangement should give the Finns a strong advantage against HTC, Samsung and the other Windows Phone manufacturers. Things really are looking up for Nokia and Windows Phone, whichever way you shake it. 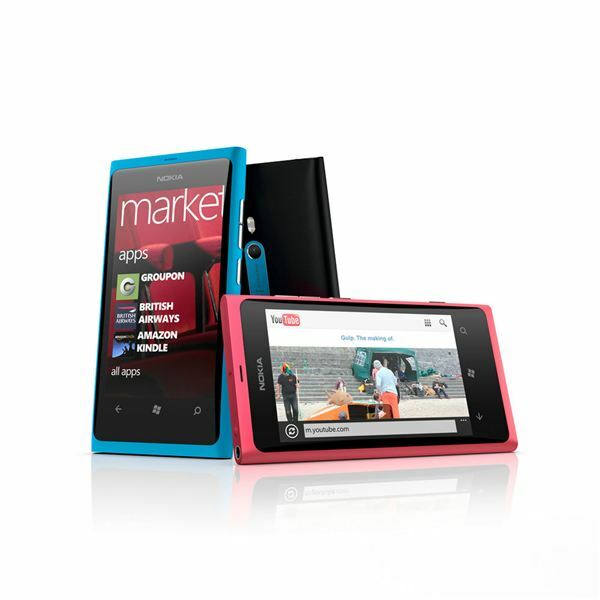 The Lumia 800 is proving hugely successful, with sales of the black handset second only to the Apple iPhone 4S according to the UK Vodafone website. Customer reviews display five stars, meanwhile, completing the picture of a successful launch and a great comeback into the European mobile phone market from Nokia. Nokia’s massive marketing campaign is clearly reaping dividends and laying the groundwork for the Lumia 900 or Ace and the lower end Lumia 601 handsets to enter a market that is well aware of the marriage between Nokia and Windows Phone. They might just hit Microsoft’s seemingly lofty target of shipping 100 million handsets in 2012.